The Innokin Endura T20-S Starter Kit – Does It Live Up To The Endura Name? The Innokin Endura T20-S is marketed on the Innokin website as being “great for vapers, great for smokers”. Being designed for MTL vapers and focusing on flavour and throat hit this should appeal to smokers and ex-smokers primarily. A lot of long term vapers also use the MTL method and creating house fog isn’t really for them – flavour and throat hit are a priority. Innokin have a range of vape pen devices with the Endura name. There is the Endura T18 and the Endura T20. Do not get confused as the T20-S is very different from the T20 and does not use the same coils. The Endura T20-S comprises of a 1500mah battery unit with a Prism T20-S tank. The tank is a top fill. Previous Endura tanks have been praised for their great flavour production – I know people who use the T18 regularly. The Endura Prism T20S tank is also available as a separate item for use on other batteries or vape mods. The starter kit is priced at between £24 and £30 which is a great price for a starter kit. The Innokin Endura T20-S starter Kit includes everything apart from E-liquid to get you up and running. Plus some spares to help you maintain it. I have noticed the newer retail kits also include a 1.5 ohm coil – my kit didn’t have this. I received the black T20-S for review – but I also was supplied with the 2000 mAh battery in grey. The kit contents are wonderful spare drip tip, spare coil and O-rings. I like this a lot. With the finish on the black battery being a shiny metal finish – trying to get a decent photo wasn’t easy! The finish on the grey battery is much nicer – a metallic grey paint finish. Now from a really shallow perspective this isn’t the prettiest device I have used. The Endura T18 is a beauty and the Joyetech Exceed D19 is stunning. This, for me, isn’t. The tank reminds me of the top of a lighthouse and it’s a bit “meh” design wise. Perhaps in the other colours this will look better. I know for most of us the performance is more important, but some people will buy something that is cute. I am a bit like that – but it needs to be cute with good reviews too. The tank has a standard 510 connection on the base so could be used on many other devices. The top cap and mouthpiece unscrew easily and the tank is extremely easy to dismantle if you want to wash it out or change the glass. I used the bulgy type drip tip the most – a straight one is also supplied. I didn’t think I would like the bulgy one but I love it! The LED displays the battery charge by using a colour code. The starter kit battery is 1500mAh however Innokin do produce a 2000mAh battery which can also be used. I have one of each battery – the black battery is the 1500mAh and the grey is the 2000mAh. Simple battery charging- connect the small end of the supplied USB cable to the side of the battery and the larger end to a USB outlet port. The light on the button goes out when it is fully charged. This is a great size; everything is comfortably placed to fit well into your hand. It has a good balanced feeling too – some devices are very light at the top and the battery is very heavy, which makes them unbalanced and you have to grip them harder – as you usually only hold them where you press the fire button. This is perfect doesn’t want to fall out of an open palm. It’s slightly big to be classed as a stealth device, but it is a good size for pockets or handbags – so for out and about use it’s a winner. I did find myself accidentally blocking the air intake holes a few times – so you will need to adjust your grip if it feels difficult to inhale from. The lower capacity battery is a bit shorter in length. Both batteries have the same diameter and functions. How Does the Innokin Endura T20-S Starter Kit Perform? The instructions are a bit lacking – there is a very thick instruction book – with one page for each language just giving safety warnings. There is a card – see below – showing the main functions and procedures. But I am finding the info a bit sparse. I know what I am doing but some people may be picking up an E-cig for the first time and will need more info on best e-liquid type, how it works etc. There is no airflow adjustment on this, it would help as it’s a pretty airy MTL vape. Some smokers might prefer to have a slightly tighter draw to mimic a cigarette. 3 clicks of the fire button to turn this on and off. The light will flash red, orange and green to confirm it has been switched on and will flash twice when turning off. Really simple operation, press the fire button to vape – no other settings or adjustments to contend with. I did find however I kept pressing 5 times to turn on and off as this is the norm for most E-cigs! This is a top fill tank which I prefer. I did find there is little to grip to unscrew the top cap – you often end up removing the mouthpiece instead. Unscrew the top cap (not the mouthpiece which I did accidentally a few times!) Grip the top cap part of the tank to unscrew. Pour or drip liquid into the space around the centre hole. Do not put liquid into the centre hole. I found you can top it up to just below the top of the tank. Screw the top cap back on. If you get horrible burnt taste or poor output this usually indicates the coil head requires replacing. Also check the tank liquid level as often an empty tank will cause the same problem. To change the coil you will need to empty the tank – so either decant the liquid into a suitable container or pour onto a tissue and discard. Remove the drip tip by pulling it out from the top of the tank. Unscrew the bottom of the tank. The coil simply pushes into the tank – make sure to align the cut outs and push the coil firmly into place. An old coil is removed by simply pulling it out from the tank. Screw the bottom tank cap onto the tank. Fill the tank to the correct level. Leave the tank for 5-10 minutes for the liquid to soak into the coil. Also before using take a couple of inhales on the mouthpiece without activating the fire button. A tip I found with my friends T18 tank, is to always make sure the drip tip is fully pushed into the top cap. The bottom of the drip tip makes a seal with the centre of the coil. If the tip isn’t fully pushed in this can cause liquid to enter the centre of the coil which can result in spitting and leaks from the bottom pin of the tank. Another tip is to remove the drip tip when installing a coil – this makes sure that the coil is fully inserted into the tank when you secure it. I used an 80% VG 6mg nicotine E- liquid (I have added additional nicotine to make this 12mg nicotine strength.) As the 0.8Ohm is a sub ohm coil these generally need lower nicotine levels and can handle higher VG liquid. But these particular coils require less wattage running to them to perform so a 6mg/12mg nic strength isn’t too harsh. As I am trying hard to keep off the ciggies I have added extra nicotine to help. Further Reading: What is PG and VG in E-liquid? I have also tried the tank on another mod on its own to see how the tank performs. I’m finding the taste from this in particular extremely impressive. Like its predecessor the prism tanks have always been well regarded for their taste and this is still the same for the T20S. Really superior taste to other tanks I have used. With high VG liquid you should get more vapour production. This is an ok vapour – not massive clouds which I have got from the same liquid in lower resistance coils – but still good enough. This is a definite MTL coil, quite restricted airflow – but it could do with a slightly tighter draw to satisfy a smoker. But this is a cracking vape it really is very impressive. A wonderful throat hit. The coil heads are available in packs of 5 for a reasonable price. Later models of the tank and starter kit have a 1.5ohm coil included – this wasn’t in my kit so was unable to review this. My friend owns just the T18 tank on its own and uses it on a mod. So for those who want to just buy the tank on its own – I put this tank on my Eleaf Pico to test its performance. The coil has the optimum power range stamped onto it of 16-18W. So setting my Pico to 17W it performed exactly the same as when used on the supplied battery. Great taste, reasonable vapour – this tank is great. This tank is also installed on the Innokin EZ Watt starter kit. I had a 1500mAh battery supplied with the kit and an extra 2000mAh battery supplied. Well so far after around 4-5 hours of me using this there is no drop in performance and the battery indicator light is still green – which means it is still above half charge. After 6 hours of only using this device and no ciggies it has just gone down to half charge (orange light) – which is excellent really for a higher powered coil. So the life on the 1500 mAh battery would get you through a day at work say 8 hours. I haven’t got this battery to run out yet – at 7.5 hours the light is still showing green (above half charge) so I hope that gives you an idea of the battery life. Well the vaping experience on this for me as an MTL vaper who still is smoking is just incredible. In the 5 hours since I got this up and running, I haven’t smoked a single cigarette – the flavour and throat hit are perfect. Oh and the battery is still showing above half charge in this time! The instructions are poor really. I think this area would need to be improved upon to help first time vapers get to grips with this. The tank top cap is difficult to grip and unscrew as there is little to grip onto. You have to remove this every time you want to refill so it does get a bit annoying. I found myself having to use my sleeves over my hands to unscrew this. I think as a starter or intermediate kit is where this excels. A smoker would find this very satisfying and it totally performs in the same tradition as its predecessors the T18 and T20 – being a great starter kit to advise someone to buy. It isn’t a high tech device or a cloud kicker, but a lot of people really don’t want that. They want a satisfying vape which keeps them off the ciggies. As I know people who rely on the previous models of Endura to keep off smoking – this does exactly the same job. This probably wouldn’t be suitable for vapers using more advanced equipment or DTL vaper – but I do think they would be surprised at the amount of taste you get from a very simple tank with stock coils. A perfect back up. If you had read my article “Stoptober for Me” you will see my struggles with the ciggies and the hard time I am having at the moment. So it will be very surprising for you to learn that in the 6 hours of using this so far I haven’t picked up a cigarette – so it’s looking to be a winner already. Wonderful taste and throat hit. A smoker would find this very satisfying. Previous Endura Models have lots of fans who use them to stop smoking and this is a wonderful update to the range. Battery indicator lights really clear to interpret. It isn’t the prettiest design. Instructions are not very “instructive”. When you lie this down – it rolls all over the place (I found it so hard to get photos of it!). Have to empty tank to change coil. 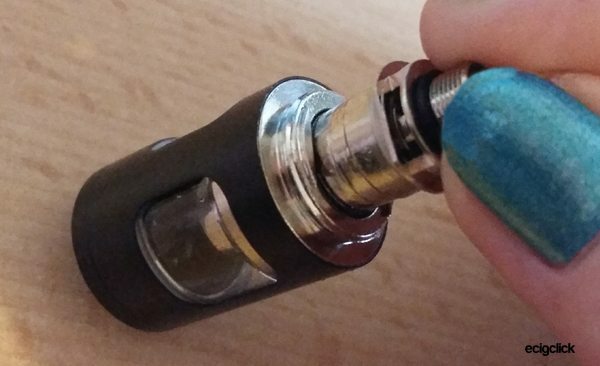 If the coil isn’t seated properly or not fully in contact with the drip tip the tank can leak. Only appears to be a 0.8 ohm coil available for this. The previous Prism coils will not fit. Top cap removal for refilling is tricky. A textured surface around the edge of this would help. Vapour production is ok – not amazing. But the taste and throat hit do compensate for this. This is a wonderful starter kit! I would recommend this to the same people I would tell to buy the previous Endura models - starters and intermediates who want a solid, well performing device to keep them off the ciggies. It does what you want of it and it does it well. It is priced really well and is a perfect introduction as a first device. The performance is excellent and will not put anyone off vaping. The taste and throat hit are exceptional but don't expect big clouds! I’ve had the T20s for a month now and was smoking 30 a day, not even contemplated buying any since. I did start off at 20mg and quickly went down to 16mg. Am on 8 now but am bored with the taste. The lady at the local shop doesn’t seem too helpful, just says stay with the tobacco ones if I want to stay not smoking and doesn’t offer any any other advice. I’m going through a bottle of liquid every other day and having to charge it a lot. Is it worth me getting a different type of vape? Did you find you were going through less e-liquid with the higher nic strengths? May also be worth checking out nic salt e-liquid as well which is a type of e-liquid that is more effective at delivering nicotine into your system. As for other flavours you can of course try whatever you choose and I’d recommend you do. If you like a fruit flavour and the nicotine strength is right then you can keep off the cigs with that too no problem. It’s all about getting that nic hit to keep you satisfied. Getting a new device while using the same tobacco e-liquid flavour won’t make a difference for you at this point. Hello there knowledgeable folk – I am attempting to get my vaping gear in order -I have an Endura T20 S which does the business pretty well so far – except for the heat on the mouthpiece which is the only thing to stop me from using it full time. Really frustrating as I’ve dropped the evil sticks and don’t want them back, but the hot mouthpiece is making me drool for some thing more user friendly (but more deathy) like a ciggie. Can it be altered or replaced and how the heck could I specify what I need that would fit ? I feel pretty lost with Ohm, tank, mod, volts and wth’s and really just want a damn simple smoke! Thanks in advance with much hope. Your guidance and info is mighty appreciated and well done with the lack of death sticks. I haven’t personally used one for a while but I tried to replicate the hot drip tip when someone else had similar question. If I remember correctly I could only get it to heat up by chain vaping (hitting a few times in immediate or quick succession) or by changing the way I vaped the device ie: taking quick sharp drags rather than smooth, slightly longer, softer drags. Maybe look to use a nic salt e-liquid so you are getting a quicker nic hit as well without feeling the need to be tooting constantly. You can replace the drip tip though as well if you want to experiment. Just search for ‘510’ drip tip on Google and you should see stores that sell replacements. Let us know how you go on! The Endura t20 is awful. We got one and it leaked juice all the time. Thought it was faulty and got another one. Same exact thing. Absolutely awful. Steer clear of this shotty made vape. Anyone knows if you can use t20s tank on a t20 battery? The T20S tank with the 1.5Ohm coil should be OK. The 0.8ohm T20S coil won’t work with the T20 battery. Hey I have a question maybe you could answer! Me and my boyfriend both got the T20s a few days ago. We use the exact same liquid and for some reason mine burns our throat but his is very smooth and doesn’t burn at all. What could the reason be for this?! I just hit his when we are together but when he’s at work I’m stuck with mine and it’s the worst! Maybe that your coil has burnt out somehow. Be worth trying a new coil and allow the eliquid to sit for 10 minutes before use. Other thing I just thought of is there are two different coils in the kit – wonder if you have the one coil and he has the other installed? Hi! I purchased the T20-S but it leaked everywhere 🙁 the retailed sold me Blu liquid with 65 PG ratio. After reading your review, the high PG would cause the leaking, but they’re saying thats not true… Could you please let me know your thoughts? There are a number of reasons for leaking, not necessarily just a high PG eliquid. Although for these type of devices we would recommend starting with a 60VG/40PG or 50PG/50VG ratio. Did the retailer check the tank for you to ensure everything is put together OK? – Unscrew base and ensure the coil is seated correctly in the tank. – Ensure the base section is screwed on correctly as this pushes the coil into the tank securing it in place. – New coil – Possible there could be an issue with the coil. Try replacing with spare. – Try a thicker e-liquid – Higher PG e-liquids tend to be ‘thinner’ in viscosity. Trying a 60VG-40PG 0r 50PG/50VG e-liquid could help. Let us know how you get on Nadine. Hi there I’ve had the t20 s for a few months now and its a great little device, the only problem I’ve got right now is that when I try to use it, while its fully charged, it will only work for a few seconds then flash red 3 times and not work again for a few more seconds. I’ve tried seeing if the coil isn’t connected the the battery and this doesn’t seem to be the case. Just wondering if I could get any helpful tips from anyone about what to do to try and resolve this issue! According to the manual 3 red flashes is the PCB overheating. Does the button or battery get warm? I’d suggest getting in touch with Innokin support for this one support@innokin.com. It’s a difficult one without actually having it in hand. When you attempt to charge (with no light coming on) does it actually work (vape) after giving it a bit of time on charge or is the battery dead? Just thinking if it’s just an indicator light issue. Also, did the shop manage to get it charging themselves showing a light? With your partners, is this another charging issue or is the light staying on red all the time? If it stays on red after a couple of hours on charge it sounds like a fault with the battery. Not sure if you have tried vaping after taking it off charge to see how long this lasts for? Also worth checking the adaptor or power source that the USB cable is plugged into. The shop should troubleshoot the issue and if there is a fault you are still in warranty. An email to support@ innokin.com would be a good idea and they will be able to advise further. Hi, thanks for this review. I got a T20s last week and was wondering how it compared to all the hundreds of other options out there. On your other page where you list best e-liquids you say that for devices like this we should use 50/50 liquids. However, in your review here you used 80vg/20pg liquid. I thought this device wasn’t capable of such thick liquid and/or would kill the coils/battery life? I was considering 70/30 liquid but you can only get 3mg annoyingly. You also say you buy 80vg 6mg liquid, I’ve not seen this anywhere (as I thought it had to be much higher pg) – can you please tell me where you get it and also did you add 4 nic shots to make it a 12mg?? I find my battery lasts about a day but then takes a good few hours to fully charge it (using the USB cable they provided, which I used once to charge my phone and too kind forever too, presumably as it has the lower cottage necessary for the T20s). If you shop around you can get 6mg 80% VG E-liquid I have a few different brands with this strength. My favourite is the Stika Bombz fruit salad which comes in 10ml bottles and 6mg strength. Sadly due to the TPD regulations any bottles bigger than 10ml will be usually 0% nicotine. I tend to stay away from these myself. It probably isn’t recommended to use such thick liquid in mtl devices but I found the T20-S and the T20 with the 0.8 ohm coil coped so so well. In fact in my article about nicotine salts – the one Nic Salt E-liquid I bought was 80% VG and 20mg nicotine so I really didn’t want to use it in sub ohm equipment. However none of my mouth to lung tanks could cope with the 80%VG apart from my little old T20 which I had in a drawer and it worked like an absolute trooper it really did! So it is a really versatile little tank that – can cope with 50/50 liquids with high nic and also thicker liquids too. As for USB charging – I found having an older PC it doesn’t always output the higher rate that quick charge USB cables are capable of – it will still only output 0.5A per USB port – some power banks can output the full 2A and some newer USB ports. Hope my ramblings were of some help to you! I’ve been a heavy smoker for nearly 40 yrs and to be honest never really had much interest in stopping until my ex pat relative and regular tobacco supplier returned to live in the UK leaving me facing the prospect of having to pay UK tobacco prices! This same relative facing the same dilemma turned to vapping and after smoking for 50+ years gave up….I was inspired! So after reading your review i bought a T20s and have never looked back i still have tobacco in the house and haven’t put too much pressure on if i want a real cig i have one! in a week I’ve smoked less than 10 cigs and when this tobacco pouch runs out i just wont buy anymore….i don’t need to and best of all it’s not a big effort or battle requiring willpower….amazing after 40 years!!! If you are happy with the 0.8ohm coils keep buying them – I have used them with 12mg nicotine liquid and my friend who now has my T20-S uses 18mg with the 0.8ohm coils and she loves that tank! She said the coils are lasting ages too its such a brilliant kit it really is! Am so happy you found the T20-S did the trick for you! Its a perfect kit to use with high nic and get you off the ciggies. You are doing amazing keep up the excellent work and remember even if you have a relapse you have still given up just think of all the ciggies you didnt smoke and continue with the vaping. I wish you all the luck – I have now given up 8 weeks on wednesday and couldnt have done it without vaping! Hi hoping you wonderful people can help me! After having used some other devices and failing to stay off the ciggies, I’ve done some research on a decent MTL / with good flavour set up and have gone for the Innokin T20-S. So, off I trot to my local vape shop to get some juice and the guy in the shop says I ought to be using a 6mg nic juice with this device rather than 12mg, which I used previously, because the Innokin T20-S has a sub ohm coil. 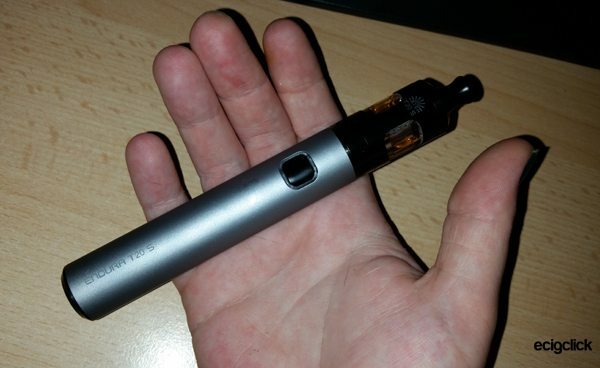 Would you agree, this is being sold as a MTL, so isn’t producing masses of vapour. Is it truly a ‘sub ohm’ device? It runs at 18wats fixed. Although I’m hugely confused about the correlation between sub ohm vaping and wattage too!!! Thanks for reading guys, hope you can help! Yes, you are correct that this is an MTL device and not a ‘true sub ohm device’. There is a little confusion coming in with sub ohm coils in e cigs such as the T20. A 0.8ohm coil is of course a sub ohm coil but it runs at a lower wattage than what you would use with a ‘true’ sub ohm tank that is designed for Direct to Lung vaping. For instance, I use a sub ohm tank with a 0.4ohm coil at 30-40W. The higher heat (from the higher wattage) running through the tank provides a bigger kick from the nicotine in e-liquid. So.. If I were to use 12mg in this (I have a while back, not recommended!) it would be quite strong and give me the jitters, kind of like downing 3 strong espressos on the trot! As the T20S runs lower wattage a 12mg nic won’t give ‘as much’ of a hit as a true direct to lung/sub ohm tank. As such I would say if the 6mg nicotine isn’t doing it for you then a 12mg nic will be OK with this and well worth trying out. I’ll ask Michelle, who used the device and carried out the review, to share her thoughts as she used a 12mg nicotine for the review. Hope that helps in the meantime, anything else that comes to mind you want to clarify please ask away. I’m glad I’m not the only one to be confused about the use of sub ohm coils in the types of devices! Thank you so much for the comprehensive reply! It certainly did help. 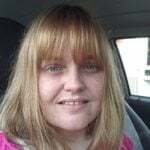 I love this site and have read all the guides etc. It’s Michelle’s review that made me decide to get the T20-S! Anyway, I’ve got some 12mg and hopefully, this time, this will be the one that sticks! Thanks again for your advice and support, you know it really does make the difference. Hi there Liz you should be fine, my friend uses the 0.8ohm coil with high nic E-liquid – 12-18mg and has no problems at all. Its a wonderful kit my friend now has my T20-S, she did have the T18 and said the T20-S coils last ages and she loves the 0.8ohm coil. The 1.5ohm will be a cooler vape and not as much taste I found so I would probably stick with the 0.8 as I and my friend think they are better coils. Upgraded to this from the T18 which I loved but wanted longer battery life. Must be one of the poorest products on the market in terms of design. Great taste and MTL experience, BUT unlike the T18 where the top of the tank is metal screwing into metal, this is plastic into metal and can take several attempts to get flush. Leaks sometimes even when flush. Also leaks for no apparent reason out of the air holes sometimes. Have to carry it round in a plastic bag and make sure I had a supply of tissues with me when ever I went out. Another observation is that the coils seem to last only 50% of the time of the T18. Finally took it back to the shop and changed it for a totally different product. They changed it without hesitation as other people had been returning this product for exactly the same reasons. I am really shocked at how bad it is given that the T18 was so good. Really that is such a surprise! I have a few friends who used the T18 and loved it apart from leaking problems with the coils. The T20-S addressed these with the new coil design. I have given my two T20-S to the same people and they prefer this to the T18 and find the coil life is better and no leaks. I am wondering if you got a rogue one or batch. What a shame as this is a great kit honestly! Just bought this and already had an aspire k2 pen and an eleaf istick power box mod. I quit the evil cancer sticks last november and the wife quit just before christmas 2017 with the help of the other devices and patches from a local stop smoking clinic. These were bought as we will only be getting enough patches from clinic to tide us over for one more month so we wanted something that can burn higher nico juices and quench the inevitable craving the other devices won’t satisfy. I have literally been using this t20s for 10 mins and i entirely agree with everything your review says. I would defo recommend it on flavour and throat hit alone. Wow thank you Cookie for your lovely comments. Its a lovely little kit, I have given mine to two friends who had the T18 model and they both absolutely love it – and its keeping them away from smoking too so it definately works! I do hope it helps you both and well done! How did you get on James – sounds a suspect battery to me?